Protecting Wall Street profits that siphon billions of dollars from retirement savers. At President Trump’s behest, the Department of Labor has delayed a rule requiring that financial professionals recommend retirement investment products that serve their clients’ best interests. The “fiduciary rule” aims to stop the losses savers incur when steered into products that earn advisers commissions and fees. The rule was supposed to go into effect April 10. For every seven days that the rule is delayed, retirement savers lose $431 million over the next 30 years. The 60-day delay will cost workers saving for retirement $3.7 billion over 30 years. Letting employers hide fatal injuries that happen on their watch. The Senate approved a resolution making it harder to hold employers accountable when they subject workers to dangerous conditions. The March 22 resolution blocks a rule requiring that employers keep accurate logs of workplace injuries and illnesses for five years. This time frame captures not just individual injuries but track records of unsafe conditions. President Trump said he would sign the resolution. If he does, employers can fail to maintain—or falsify—their injury and illness logs, making them less likely to suffer the consequences when workers are injured or killed. Blocking this rule also means that employers, OSHA, and workers cannot use what they learn from past mistakes to prevent future tragedies. If the rule is overturned, more workers will be injured, and responsible employers will be penalized. Allowing potentially billions of taxpayer dollars to go to private contractors who violate health and safety protections or fail to pay workers. The federal government pays contractors hundreds of billions of dollars every year to do everything from manufacturing military aircraft to serving food in our national parks. The Fair Pay and Safe Workplaces rule required that companies vying for these lucrative contracts disclose previous workplace violations, and that those violations be considered when awarding federal contracts. The rule was needed, as major federal contractors were found to be regularly engaging in illegal practices that harm workers financially and endanger their health and safety. On March 27, President Trump killed this rule by signing a congressional resolution blocking it. This will hurt workers and contractors who play by the rules, while benefitting only those contractors with records of cutting corners. This article originally appeared at DailyKOS.com on April 22, 2017. Reprinted with permission. In his State of the Union address on Tuesday, President Obama announced that he would issue an executive order raising the minimum wage to $10.10 for workers employed on federal contracts. The order has yet to be issued, so it’s unclear exactly how many and what type of workers will be covered. However, one group is already slated for exclusion: workers in a special government contracting program for people with disabilities. Ari Ne’eman, president of the Autistic Self Advocacy Network, says that disability advocates were informed on a conference call Wednesday with Vice President Joe Biden and Secretary of Labor Thomas Perez that Obama’s executive order will not apply to federal contractors that use “14(c) programs”—in which workers with disabilities are paid subminimum wages. Under the 14(c) exemption in the Fair Labor Standards Act, workers with disabilities are excluded from minimum-wage protections if they are employed in certified training programs. Though there is no official government data on the size of these programs, the National Council on Disabilities estimates that the federal government employs thousands of workers under 14(c). Nationwide, approximately 420,000 disabled Americans are employed in 14(c) programs coordinated through federal, state and local governments, and legally paid below the minimum, with some only making pennies per hour. As Working In These Times reported last March, deep divisions remain within the disability community and even among top Congressional Democrats over whether disabled workers employed in 14(c) programs should be paid below the minimum wage. Some disability advocates—led by ACCSES, which represents employers of disabled workers under the 14(c) programs—claim that these programs provide valuable training to help transition people with disabilities into jobs, and that a minimum wage requirement would make that mission impossible. Other advocates, however, say that the programs don’t provide meaningful training and rarely lead to outside jobs. A 2001 study by the federal General Accountability Office (GAO) found that only 5 percent of workers employed in 14(c)-sheltered workplace programs left to take regular “integrated employment” jobs. These critics say the programs contribute to the well-documented cycle of poverty for those with disabilities: According to the Bureau of Labor Statistics, a person with a disability is three times as likely to live in poverty as a person without a disability. On Thursday, the National Council on Disability (NCD), an independent federal advisory board, issued a statement on Thursday afternoon blasting the Obama administration’s decision to exempt workers with disabilities from the minimum-wage increase. The White House did not respond to a request for comment. According to Ne’eman of the Autistic Self Advocacy Network, officials told him on Wednesday’s conference that the Obama administration believes it doesn’t have the authority to raise the wages of 14(c) workers. This article was originally printed in Working In These Times on January 30, 2014. Reprinted with permission. About the Author: Mike Elk is an In These Times Staff Writer and a regular contributor to the labor blog Working In These Times. The collapse of the Rana Plaza factory complex in Bangladesh last April exposed the cruel link between abusive Global South factories and the Western brands they supply. But while consumers may have been shocked to learn of the Gap or Benetton‘s latest designs strewn amid the wreckage of “death trap” factories, they might have missed another bit of debris: the label of the U.S. government. In fact, much of the clothing churned out by overseas sweatshops is custom-made for Uncle Sam. In an extensive investigative report, New York Times details how the federal government’s contracts with overseas factories to make uniforms and other apparel are connected to egregious human rights violations, including child labor and union suppression. A recent audit by labor monitoring authorities found workers as young as 15 at a factory in Phnom Penh, Cambodia that produces clothes to be sold by the Army and Air Force. Some workers spoke to the Times of having to work long shifts without breaks, forcing them to soil themselves while sewing. The Times also reported evidence of child labor in another Bangladesh factory commissioned to produce Marine Corps shirts. And at yet another facility, this one making clothes for the General Services Administration—which supplies uniforms for more than a dozen federal agencies—beatings of workers were reportedly frequent, as was the often brutal suppression of labor organization. Both facilities lacked proper fire protections. Such overseas deals are part of the government’s practice of “procurement,” or contracting with private firms for goods or services. Ultimately, however, whether the buyer is a public agency or a high-fashion retail brand, any trade with the Global South garment industries runs the risk of worker abuses, corporate impunity and rampant exploitation. Recently, PR-conscious private-sector clothing-makers have made some overtures toward improving labor practices along their supply chains. In Bangladesh, for example, the Rana Plaza collapse and other disasters have prompted about 120 multinational brands, including Adidas and H&M, to shown some willingness to reform their supply chains by signing onto the legally binding Bangladesh Accord on Fire and Building Safety. But thus far, few similar improvements have been enacted by the U.S. government. Following the Rana Plaza disaster, the White House did make the largely symbolic move of temporarily suspending Bangladesh’s trade preferences on some goods. There’s been little action, however, on a more concrete proposal that would target improving military procurement in Bangladesh. According to a recent memo from the office of Rep. George Miller (D-Calif.), the military “provides little to no oversight of the labor and safety conditions” in its supply chain and has failed to address evidence of labor abuses. One exception is the Marine Corps Trademark and Licensing Office: After the agency’s labels, displaying the slogan “The Few, the Proud,” turned up in the ruins of the deadly 2012 Tazreen factory fire in Bangladesh, the Office implemented stronger worker safety provisions for its suppliers that parallel the Bangladesh Accord, as well as child labor restrictions. For the most part, though, Miller’s memo suggests the military contracting system has largely resisted meaningful labor reforms. In June, Rep. Miller teamed up with Rep. Jan Schakowsky (D-Ill.) to propose legislation to compel military exchanges—special military-run sales outlets that share the consumer clothing market with private retailers—to adopt the Bangladesh Accord. Though the proposal wassuccessfully incorporated into the House’s version of the pending military spending bill, it was ultimately left out of the one in the Senate. And supply-chain labor abuse isn’t limited to Bangladesh alone. In light of this, the advocacy group International Labor Rights Forum (ILRF) has urged the federal government to set strict labor standards for overseas procurement in general, with the option of sanctioning contractor firms “if the factories and other high-risk points in the supply chain do not comply with applicable laws and regulations and internationally accepted labor standards.” The ILRF also promotes a more comprehensive monitoring structure that would provide independent oversight that engages workers and unions. Bjorn Claeson, ILRF senior policy analyst, tells In These Times that the government should take chief responsibility for upholding decent labor standards in industries known for violating workers’ rights through stricter monitoring and investment in better labor conditions. Ideally, activists say, the government would retake control of its supply chain from private contractors and give more service jobs to federal employees—thus avoiding outsourcing, and the attendant costs and risks, altogether. This practice, known as “insourcing,” would reverse a longstanding trend toward privatization in the public sector and would likely take considerable political effort. This article was originally printed on Working In These Times on January 2, 2014. Reprinted with permission. 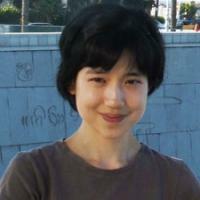 About the Author: Michelle Chen is a contributing editor at In These Times, a contributor to Working In These Times, and an editor at CultureStrike. She is also a co-producer of Asia Pacific Forum on Pacifica’s WBAI. Her work has appeared on Alternet, Colorlines.com, Ms., and The Nation, Newsday, and her old zine, cain.